What is a Cloud-based Software for Blank Out Signs? Defined by the following statement- software located in a remove server operated under separate ownership, allows access via internet connection by other non-proprietary users to the capabilities of the software. Generally expressed as Cloud based or Software as a Service (SaaS), this software encourages use with little to no financial outlay of development, IT management, or upgrade costs. As it applies to the transportation and traffic operations industry, users can access the server via nearly any wireless device managing their own “platform” of settings and preferences inexpensively and as needed for an individual sign or entire armada of signs. Once connected, an enabled password code is employed providing access to the registered device or computer. As easy as clicking on a blank out sign-representative icon for viewing the current displayed message and other settings established by the platform manager. 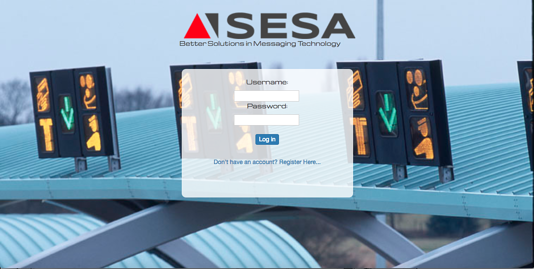 In the case of a multiple message sign, total command to simply change or delete a message is not only convenient, but smart traffic management for any progressive thinking traffic operations entity. Why Cloud-based Software for Blank Out Signs? Blank out signs typically connect to local signal controllers operating other devices with either traffic central control management software or built into the signal controller design. However, local and state government’s real and potentially traumatic concern is remote BOS locations such as weigh stations, over height truck detection, environmental hazard occurrences or designated safety zones such as school locations. Without management BOS software, the vulnerability due to lack of control and message management only increases liability. Energy efficient blank out signs powered by solar energy systems, enable near anywhere installation, even in remote rural and mountainous terrain. For exact sign placement solar power systems release reliance on power access via grid electricity. Additionally, support devices such as communication modems and radios as well as any other auxiliary equipment desired on site can be powered with an integrated, properly designed solar power supply system. To sum up, Software As A Service / Cloud Based Software for Blank Out Signs situationally enables control and management to enhance safety and while lowering exposure to damage, injury, or fatality. Solar powered blank out signs greatly improve sign location placement encouraging smarter traffic management designs and flexibility without higher grid power access costs in rural landscapes.